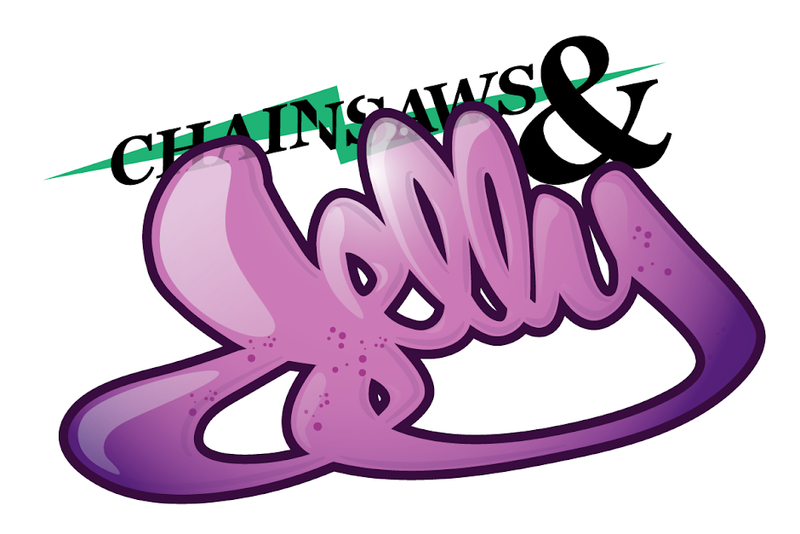 Chainsaws and Jelly: Come Join Us For A Pretty/Ugly Night!!!! Come Join Us For A Pretty/Ugly Night!!!! Just a friendly reminder that we hope to see you tomorrow night! DJ's will start spinning at 8pm and the first performance will start at 9:30. Come out, BYOB, and just chill and enjoy. DON'T FORGET TO BRING A DONATION OF CANNED FOOD AND/OR COAT(CLOTHING) IF YOU ARE TIGHT ON MONEY. $5 w/coat or clothing $7 w/ canned food if you bring nothing you pay $10. Please note that the second floor there will be arts/crafts and merchandise on sale so support your local artist and brand! Also free giveaways from Tough Love NYC, Division East, BlackFlag Shoppe, Formatic, and more! LADIES, PLEASE COME OUT AS WELL, WE HAVE ONLY A FEW GIRL TEES AND WE WANT TO GIVE THEM TO YOU!!! 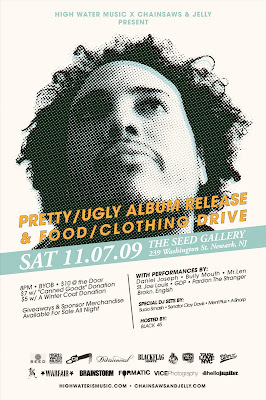 Most of all, it's a celebration to the success of Pretty/Ugly. This is for the AKAI PROS, DANIEL JOSEPH, HIGH WATER MUSIC, JERSEY, AND EVERYONE INVOLVED TO MAKE THINGS HAPPEN. Remember we are movers and shakers! Can I bring that garbage full of bay/toddler clothes I have? yes, please do it!!! hehehe.